For those of us who aren't blessed with bushy, full brows, eyebrow products are the only thing that'll let us get on board with the big and bold eyebrow trend. If you're not convinced about shelling out those extra bucks, we've got you covered. 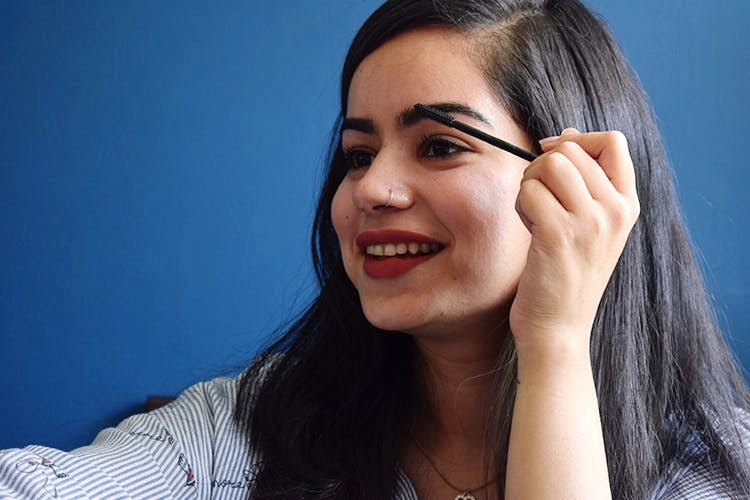 We found a bunch of different eyebrow products for under INR 499. This gel cream is really easy to apply if you're not good with pencils. It's light and the gel-like texture is long lasting and leaves your brows looking dark. The Wet N Wild Ultimate Brow Retractable Brow Pencil is rub resistant and has a triangular tip to get the corners of your brows with ease. This eyebrow pencil is super smooth, smudge-proof and lasts long, so you don't need to touch it up. It's quite dark, so make sure you give it a test once before to get an idea of exactly how much your brows require. This eyebrow pencil is amazing if you're looking to create deep arches. You can draw on your brows exactly the way you want to, fill them in and get the shape you're looking for with this pencil. The dark brown colour blends in really well and it's got a slim tip that gives you precise control and lets you fill in the gaps in between with ease.